Just completed and situated in popular Glen Holm Street, this beautiful home is brimming with style and awaits its first residents to move in and enjoy. Showcasing contemporary features with high-end fixtures and fittings throughout, this impressive property is sure to appeal to those who appreciate quality, design and attention to detail. 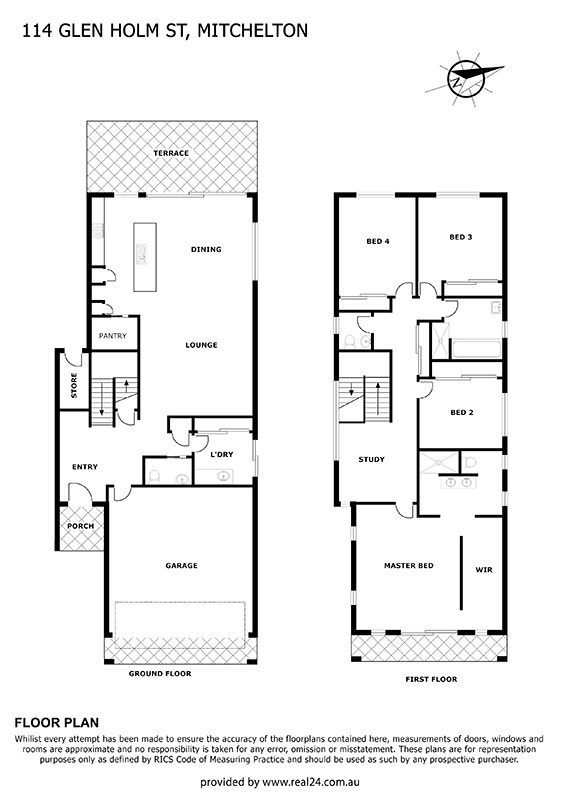 Inside you'll discover a well thought out floor plan delivering multiple living areas, along with space and privacy. Downstairs features high ceilings and glistening, polished porcelain tiles which combine perfectly to create a grand sense of space and style. The stunning kitchen is a delight with Bosch and Smeg stainless steel appliances, two-pack cabinetry, Caesarstone benches and an oversized walk-in pantry with preparation bench. Flowing seamlessly from the open plan kitchen, dining and lounge area is the covered outdoor entertaining area - perfect for those long barbeques with friends. Upstairs features four large bedrooms plus a study. The luxuriously appointed king-size master suite is complete with dedicated balcony, ensuite with double basins, plus a large walk-in robe with bespoke cabinetry.